So of course most have heard Google App Engine now supports the JVM... and in doing that they have not only gone from just supporting Python, they now support Java and most of the other languages written to run on the JVM. I find it interesting the first app I built for GAE with the new JVM support was simple Sinatra app using JRuby. Like many other alternative JVM language implementers, the JRuby team leaped into action to make sure their stuff worked on GAE. I have to admit I was amazed how things just seemed to work. With some help from Ola Bini's post (for Bumble), I was able to build a simple application in no time at all. Recently I was asked to look into implementation options for a project who's resources seem to have a skill set based in PHP. Most of our work is based in the JVM so I went back to Caucho's Quercus PHP support for the JVM. Based on a recommendation from the Twitterverse I started looking into the CodeIgniter PHP web framework as well. This project seems to have a some momentum, the documentation at first glance appears up-to-snuff and video demonstrations are always a plus! After playing around with CodeIgniter for a while running under oucho's Resin server, I figured someone had already run this framework on GAE... and of course someone has. Caucho released a blog post about Quercus running PHP on GAE and this application seems to be proof of CodeIgniter on GAE. Google had a ton of folks crying out to get their favorite language supported on GAE, Java was high on that list I'm sure. 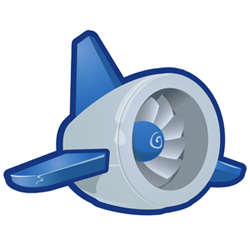 But in supporting the JVM, Google has opened their App Engine cloud based platform to a miriad of developers to play around on. Nice move Google. It was a good tip! This is very helpful to increase my knowledge and Thanks for giving the valid post.